Chances are if you studied in a non-English speaking country, you will need to take an English proficiency exam. The most common exams are the TOEFL (Test of English as a Foreign Language) and the IELTS (International English Language Testing Service). These two exams are administered by two different companies – and now that you know that, you may be left wondering, “What option would be the best for me?” Don’t worry! We’re here to help you understand some of the differences between each exam as well as which may be better for you. The TOEFL test is administered by the Educational Testing Service (ETS), a U.S. non-profit organization. Therefore, the exam is conducted based off of U.S. English. The test is either administered via paper or the Internet, depending on where you take the test. The Internet-based test is commonly called TOEFL iBT and accepted by more than 8,500 institutions worldwide. The TOEFL test can be taken more than 50 times a year and students can retake it as many times as they want. However, you are allowed to take it only once every 12 days. Keep in mind too that the cost of the test ranges anywhere from US$160-US$250, depending on where you take the test. The TOEFL is broken into four separate sections that test each student on their reading, listening, speaking, and writing abilities. The entire test takes four and a half hours overall, with scores ranging from 0-120 points. 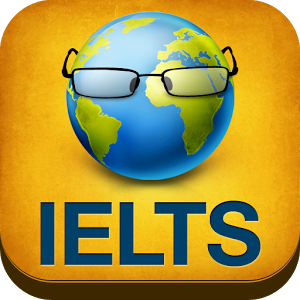 The IELTS test is administered by three companies which include the British Council, the University of Cambridge ESOL Examinations and IDP Education Australia. As a result, the test uses UK English. For students more familiar with UK English, the IELTS may be a better option. Like the TOEFL, you can take the exam either as a computer-based test (CBT) or paper-based test. The IELTS is accepted by more than 8,000 organizations worldwide! One of the IELTS’ differences is that you can take an Academic exam or General Training exam. The Academic exam is geared towards those seeking to enter university while the General Training exam is more for individuals planning to immigrate to English-speaking countries. The IELTS is offered up to four times a month worldwide and costs around US$205 – but the exact cost is determined by your local currency. Similar to the TOEFL, the IELTS is broken into four sections: Listening, Reading, Writing, and Speaking. However, the speaking portion of the exam is administered face-to-face by a native speaker. The entire exam takes about two hours and 45 minutes and test scores range between 0-9 with half scores. Both are English language tests aimed at pre-university students planning to make the step to higher education. Both evaluate how well you can combine your listening, reading, writing and speaking skills. You have to pay a fee to take both tests, for both it can vary depending on where exactly you take the test but expect to pay between $150 to $250. Although both tests ostensibly focus on the same thing, they do so in different ways, which is why so many students want to know which is better (and even more commonly, which is easier). One of the main differences is the speaking part of the test. For IELTS you are required to take this with an IELTS examiner face to face. 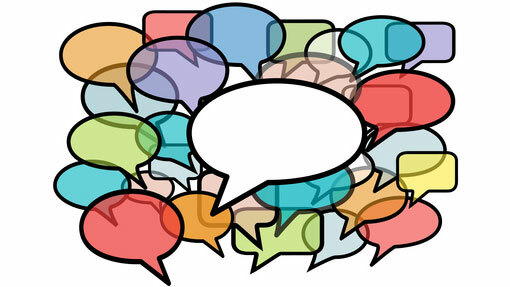 For TOEFL the speaking test consists of six questions which you answer into a microphone. These are recorded and sent to an examiner to mark. 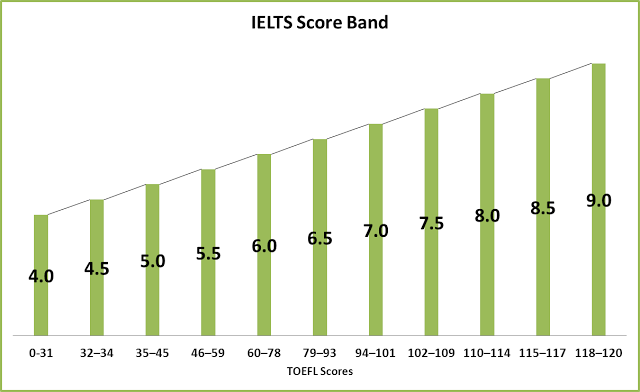 The scoring system is also different, with IELTS rating between 0 and 9, with halfway points in between. TOEFL gives a more numerical SAT-type grade, totaling your scores from all the areas. This gives an insight into another key difference. TOEFL is administered by the Educational Testing Service, a non-profit US based organisation, and conducts its test according to US English. IELTS is administered jointly by the British Council, the University of Cambridge ESOL Examinations and IDP Education Australia, and conducts its test in UK English. While the differences are not as great as some assume accents and spelling variations can cause a problem for some students. The answer really depends on you; what kind of learner you are and where you want to study. The question of which is easier is largely irrelevant as both tests will grade you accurately according to your level of English. TOEFL may tend to favour more abstract learners as many of the questions are multiple choice whereas IELTS may be more suited to concrete learners as it involves memory recall. The face to face speaking section of the IELTS may be daunting to some candidates who would be more comfortable speaking into a microphone. Finally, it may be necessary to check that your chosen institution accepts the test. Although both are accepted at more than 6,000 institutions and organisations worldwide, so there is a fairly good chance you will be able to use either, it is always necessary to check beforehand. If you have more experience with British English (or Australian English), take the IELTS as vocabulary and accents tend more towards British English. If you watch a lot of Hollywood movies and like US idiomatic language, choose the TOEFL as it reflects American English. 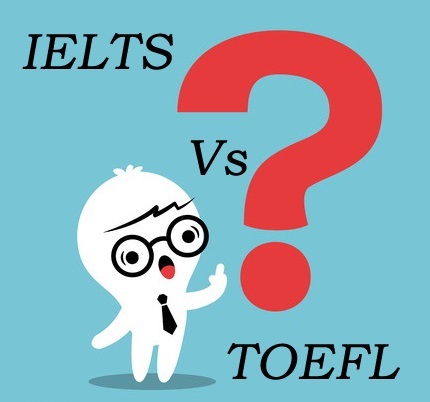 As you will read below in the section on key differences between the IELTS or TOEFL, the TOEFL requires that you type your essays in the written section of the test. If you type very slowly, I would strongly recommend taking the IELTS as you hand write your essay responses. If you become extremely nervous during a test and want the experience to end as quickly as possible, the choice between IELTS or TOEFL is easier. The TOEFL lasts approximately four hours, whereas the IELTS is significantly shorter – about 2 hours 45 minutes. Remember, however, that shorter does not necessarily mean easier! The TOEFL exam is made up of almost entirely multiple choice questions. The IELTS, on the other hand, has a much wider range of question types including multiple choice, gap fill, matching exercises, etc. If you do NOT feel comfortable with multiple choice questions, the TOEFL is not the test for you. Note taking is important on both the IELTS and the TOEFL. However, it is much more critical on the TOEFL exam. As you will read below, the listening section in particular depends on note taking skills in the TOEFL as you answer questions after you have listened to a longer selection. The IELTS asks you to answer questions as you listen to the exam. TOEFL – You will have 3 – 5 reading selections of twenty minutes each. Reading materials are academic in nature. Questions are multiple choice. 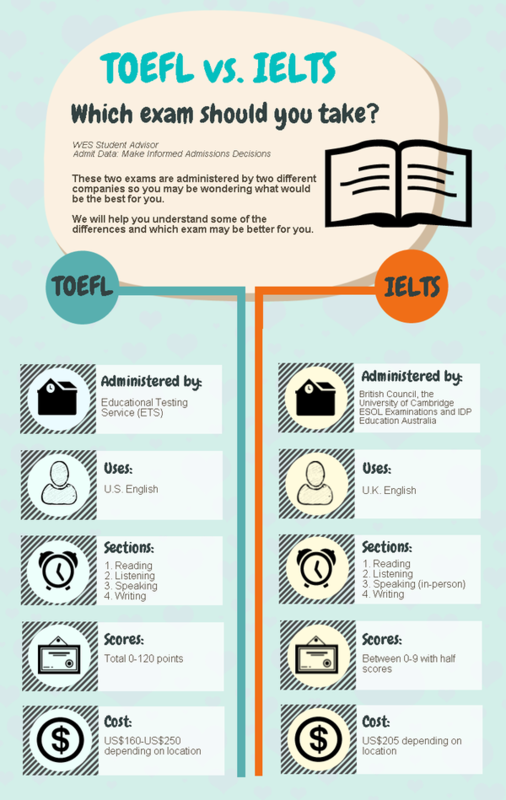 TOEFL – The listening selection very different from the IELTS. In the TOEFL, you will have 40 – 60 minutes worth of listening selections from lectures or campus conversations. Take notes and respond to multiple choice questions. 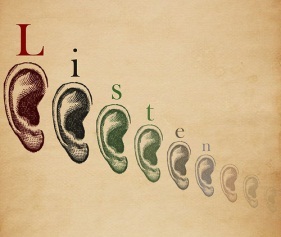 IELTS – The largest difference between the two exams is in listening. In the IELTS exam there are a wider variety of question types, as well as exercises of differing lengths. You will answer questions as you move through the listening selection of the test. TOEFL – Two written tasks are required on the TOEFL and all writing is done on the computer. Task one involves writing a five paragraph essay of 300 to 350 words. Note taking is important as the second task asks you to take notes from a reading selection in a text book and then a lecture on the same topic. You are then asked to respond using notes by writing a 150 – 225 word selection integrating both the reading and listening selection. 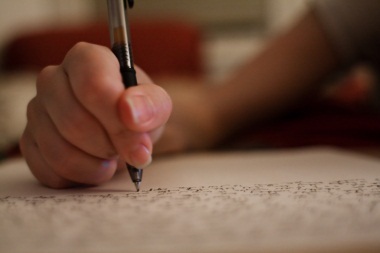 IELTS – The IELTS also has two tasks: the first a short essay of 200 – 250 words. The second IELTS writing task asks you to look at an info-graphic such as a graph or chart and summarize the information presented. 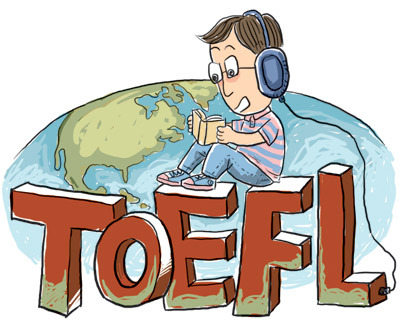 TOEFL – Once again the speaking section differs greatly between the TOEFL and the IELTS exams. 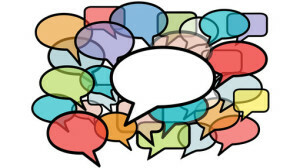 On the TOEFL you are asked to record responses on the computer of 45 – 60 seconds to six different questions based on short descriptions / conversations. The speaking section of the test lasts 20 minutes. IELTS – The IELTS speaking section lasts from 12 to 14 minutes and takes place with an examiner, rather than a computer as on the TOEFL. There is a short warm up exercise consisting mainly of small talk, followed by a response to some sort of visual stimulus and, finally, a more extended discussion on a related topic. So, if you are an international student thinking about studying abroad in the U.S. make sure to confirm with the schools that you will apply to for their testing requirements. Not all U.S. universities may accept both or some may prefer one over the other. Don’t hesitate to ask questions!